Download the free app on your iPhone or iPad or iTouch. Decide on the story you want to film. Make the Lego characters and background for your story. Put your iPhone or iPad in a place where they won't move and focus them on your background (you won't be able to re-focus or erase once you start shooting, so make sure this is set up well first). You might want to use a tripod mount to keep it steady. Start the app and choose one of the title pictures and put in the name of your move and your name as the director. Start taking your shots. This part is easy. You tap the screen to take a shot, move your mini-figs or other Lego pieces, then tap the screen to take another shot. Remember: The slower you move the pieces, the better the action will look. Use the 3x3 grid to help you keep your figures in the right place. You can even put a transparent image on the last picture on top so you can see how much you have moved your figure. If the scene looks too dark, you might want to open a window, put a desk light above the figures, or use the toggle light to activate the LED screen to give you more light. When you finish your movie, you will follow the directions to add some action music. You can also add some filters and adjust the speed of your movie by deciding how many frames per second you want to show. You can also edit to delete or add some pictures if you messed some up. Upload your movie to show your friends! A digital camera or a phone that takes pictures. A camera with a macro setting is the best because it lets you focus on your Lego figures up close. A computer with Windows Moviemaker, Apple's iMove or QuickTime Pro or other film editing software. 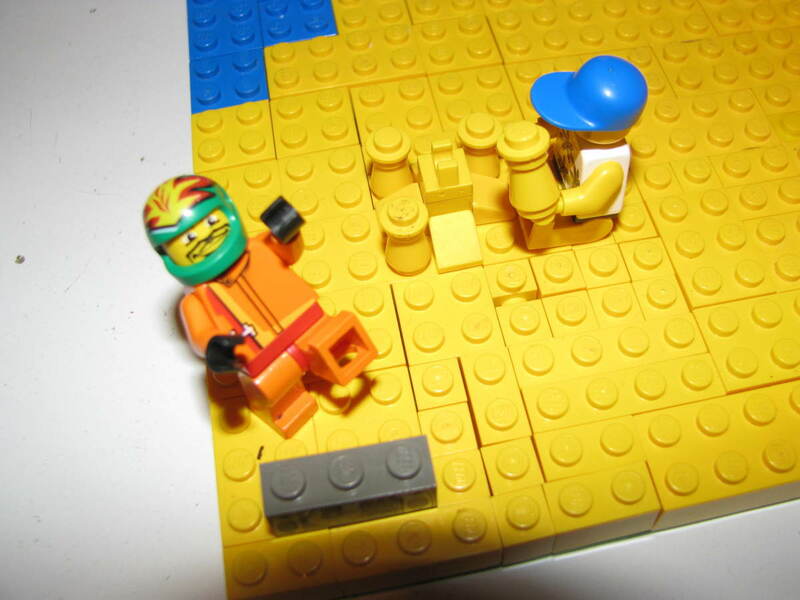 Lego figures and a background (try using a white or colored sheet or pieces of cardboard, or maybe your bedspread). An idea for a movie. Make it an adventure or action idea. Duct tape for holding down set and props. A couple of good desk lights to make sure the pictures are clear, focused and without shadows. Step 1: Set up your background, Lego figures, and camera. Use a tripod to hold your camera steady. You might want to write out notes for how you want to tell your story and build all the Lego figures you will need. Step 2: Make sure you tape down your props and sets. That helps in case you bump them. Duct Tape or sticky tack can both work well. You might also try using Lego bricks to help support your props so you don't have to hold them. To make something seem like it is in the air, like a knife or block, try duct taping it to a rod or stick in the back. Then attach it to a brick in your background. That way when the camera looks straight at it, the object seems to be "hanging" in the air. Step 3: Make sure your camera is in focus on your scene. Put your camera on Micro setting for the best focusing. Step 4: Check your lights. You want enough light so your pictures aren't blurred and you don't have shadows. Desk lamps are a great way to get a lot of light on your Lego set. Step 5: Shoot your movie. Shoot a picture. Move your figures and then shoot again. Move as slowly as possible for a good, smooth movie. You can stop at any time and look at the pictures in sequence to see if they are flowing well. Step 6: How many pictures? Professional stop animation shots are 24 frames (pictures) per second. You don't need that many but aim for at least 10-15 for good smooth movie action. 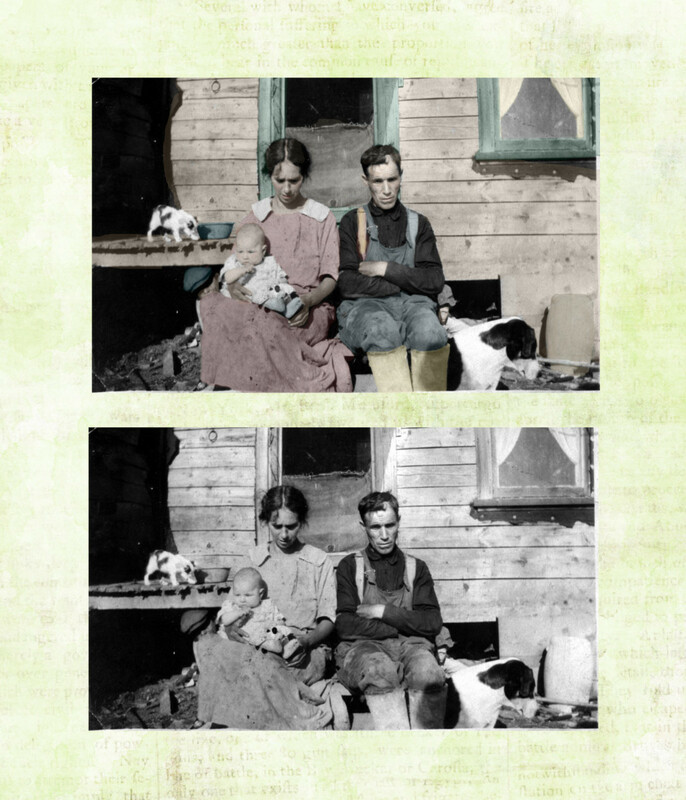 Step 7: Download your photos onto your computer. Step 8: Open up your Movie making software and import in your photos. Use the Movie Making software to make your photos into a movie with titles, captions, special effects, music, and credits (see video below). Step 9: Use you Movie Making Software publish your movie and share it with friends on YouTube, Facebook or elsewhere. Have you ever made a Lego Movie? Yes with the Lego Movie Maker app. No, but I'd like too! No, but I like to watch them. Chasing: Have an evil character chasing a good character who has to get away and then stop the evil character from hurting people. Something won't work: Have a spaceman build a rocket that doesn't work and falls apart. Have someone unusual come in to help so that they finally get it working. Good Builder/Bad Builder: Two minifigs want to build a house and one of them keeps on doing it the wrong way or causing problems, like making the walls fall down. Finally the "master builder" either teaches the bad builder what to do or puts him somewhere so that he can't interfere (locked in the bathroom or a jail or taken away by a dinosaur!). Theme Story: Have a theme set? Of course you do! Make a movie that retells that story. Better yet, do a revision of the story so that a different character wins, or the bad guy turns out to be a nice guy. You get the idea, a remix! Destruction and Back: Remember when you were little and you loved to build something and then totally destroy it? You can do that for a great movie. Build something and take pictures along the way (be sure to build on a base that is put in a marked place so that your pictures don't move). Next, take a video as something like a dinosaur, or monster comes to destroy it totally. When you make the movie, you can show it being built, then destroyed and then do a reversal. Cool! A Day in the Life: Do you have a lot of city sets? Build them up and then show the day in the life of a person in the city (think of Lego Movie for ideas). Have your person run into problems all along the way. They can get run over by a car, accidentally knock over an old lady, get chased by a dog into the toilet. You get the idea! Actually, you could do this idea using any theme sets. How about "a day in the life of Batman?" Sports Story: Everyone loves a good sports story where the underdog finally wins the competition. That story idea works great for any sport or movie. You can do a movie based on your favorite sport. Have your character lose against a hotshot bully. Then have the character train (think of Rocky or Karate Kid). Finally, have the triumphant win! Do you like a sport that there isn't a set for? Be creative. 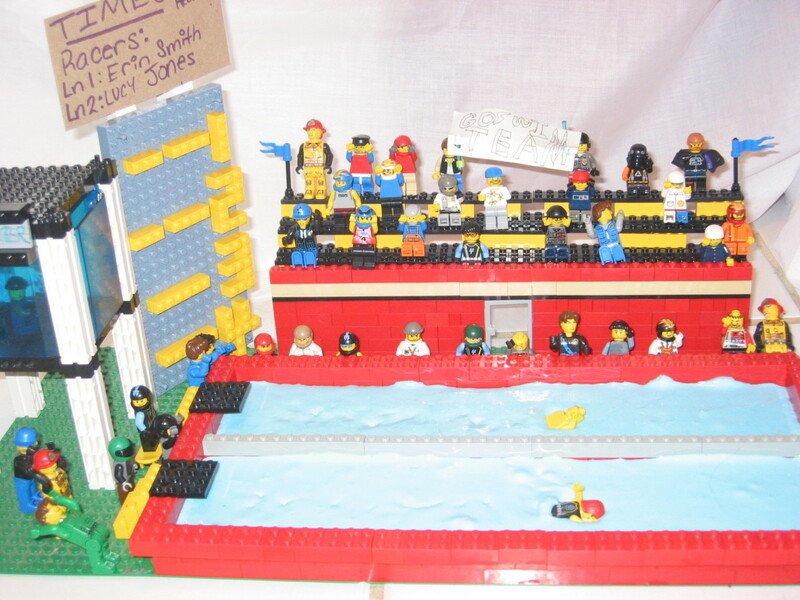 My son was a swimmer and water polo player, so he built the swim stadium (see picture above) for a Lego contest and then made a movie about swimming. You can do that for soccer, basketball or any sport. If you don't have any bricks to show something, think about other household objects. My son used blue slime for the water in the pool so that he could have his minifigs sink into it like they were swimming. 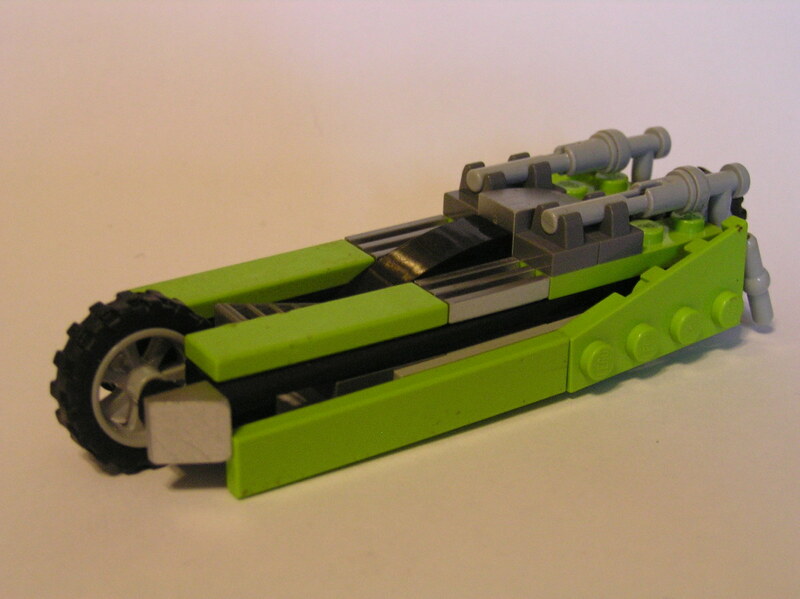 How much do you know about Legos? I'll be changing the link in the article but I wanted to give it directly to you to make sure you did get it. This is for the iPhone. You can Google for the app using other devices. Im in Sydney, Australia and can't seem to get the app. Is this app still available? Thank you. I am currently trying to make my own series of LEGO videos. This was very helpful. A brillaint share and I vote up,across and share. Glad you liked it mikashi! My son was telling me that he actually put together this video from several shorter clips he had made earlier. He said that actions like walking and having things fly always work the best and are easy to do. Hi, really sort of a fun article...was almost going to skip over it but started watching the video which led me to read and ended with leaving a comment. Excellent work, very well assembled Hub. Thanks for stopping by billbuc and sallybea. My son has been making these Lego videos since he was about 10. He made the one in this Hub for his theatre class in High School. I love the fact that this sort of hobby has taught him so much about film making, telling stories and how to work carefully through a longer project. So much better to make videos than to watch them! Great Hub, definitely something I would like to have a go at. Thanks for sharing. LOL...I started laughing as soon as the first video started playing. The music is perfect. Thanks for this and nice job.